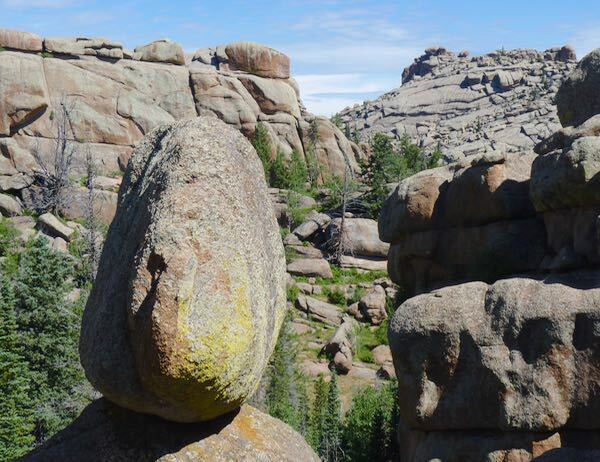 Another concentration of interesting rock formations was found at Vedauwoo. 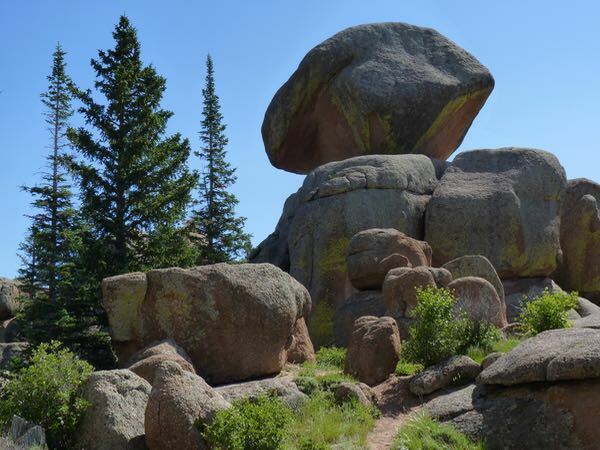 It’s a part of the Medicine Bow National Forest-Pole Mountain Recreation Area, with miles of back roads for hiking, rock climbing, mountain biking, picnicking and camping. 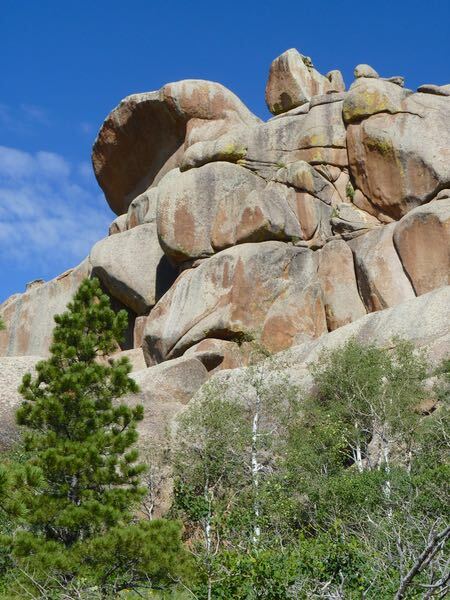 You probably know how much I like big rocks and boulders. I did some hiking in the rocks and shot some photos. 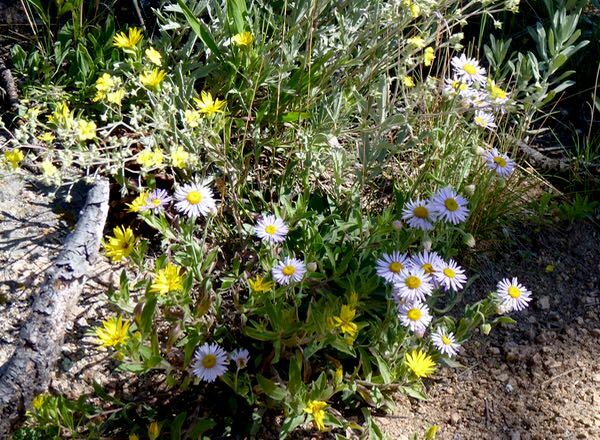 Cliffs, boulders, balanced rocks, pines and wildflowers were the subjects. 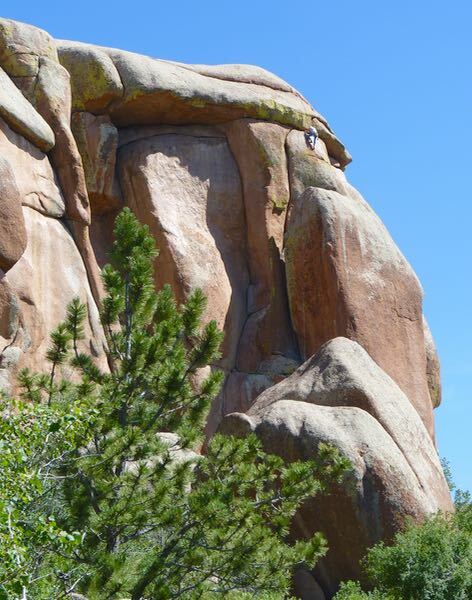 Some climbers were scaling a tall rock formation. I suspect it’s an exhilarating experience; but, not something I would want to try. Besides, I enjoy more the views of the rocks from below as they tower upward. There was a campground. But further on, were free campsites just off the roadway, with gravel pads and rock fire-rings. The gravel road more-or-less paralleled I-80 so there was a good internet signal. My spot had a nice view of the rocks, and at almost 8,300ft the temperature was pleasant. Those type of formations always remind me of kids sticking clumps of modeling clay together willy-nilly. Homestake Pass outside of Butte, MT, is another place like that. I’ve been enjoying your posts for a few weeks now. Thanks for sharing your info and the beauty you see. Now that you mention it, they do look like clumps of clay. Glad you enjoy the posts. I’m having a great time roaming around. We loved Vedauwoo, but then we love anyplace with rocks. Saw your LD in Montrose the other day; but, you were gone when we came out of Walmart. So that was you’re Lazy Daze? Sorry I missed you. Rocks are also a favorite of mine.